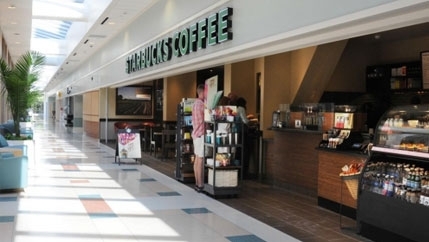 The smell of great coffee, good food, fresh flowers and more floats through the Concourse of McLeod Regional Medical Center in Florence. 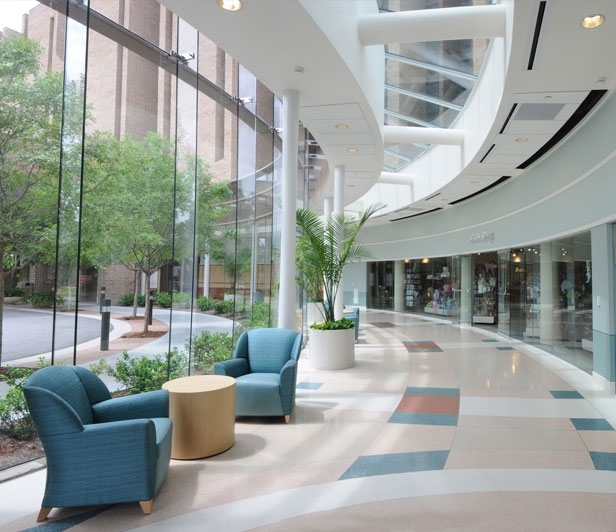 The glass-enclosed concourse stretches from one end of the campus to the other, joining the McLeod Center for Cancer Treatment and Research, the McLeod Tower, the McLeod Center for Intensive Care and the McLeod Pavilion. 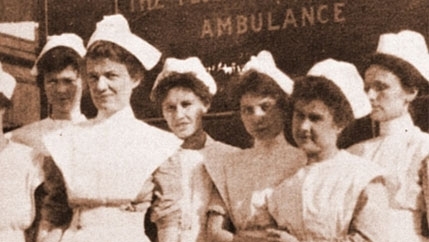 By sharing art, objects, literature and life stories, the goal is to make our history, present and future relevant to patients, their families and guests. The McLeod Mission Gallery is located adjacent to the Gift Shop. Monday – Friday, 6 a.m. – 8 p.m.
Saturday – Sunday, 7 a.m. – 5 p.m.
Freshëns offers “better for you” healthy products, including savory and dessert crêpes, crispy flatbread salads, freshly blended smoothies and our signature frozen yogurt. 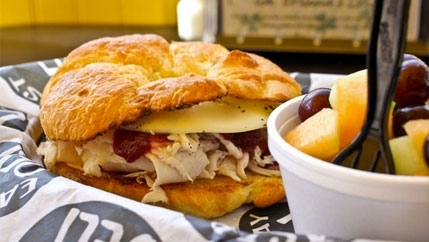 Monday – Friday, 10:30 a.m. – 3 p.m.
East Bay Deli is a New York-style deli with a distinctive southern flair that offers traditional deli favorites, a superb salad bar, hot dogs, healthy sandwiches, wraps, and Carnegie deli NY cheesecake. 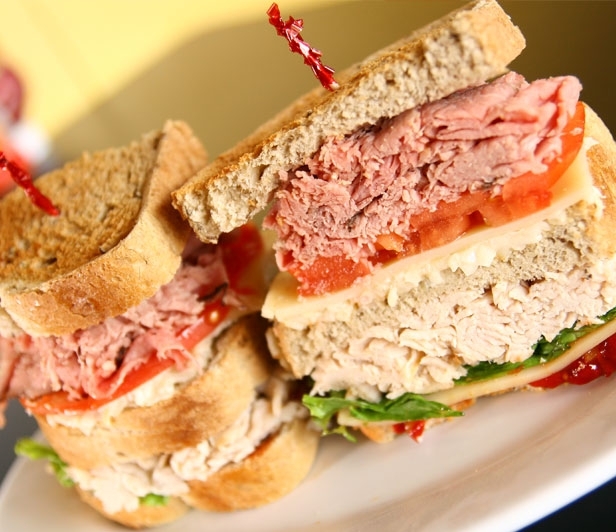 Our food is fresh, delicious, affordable, and we’ve got something for every taste. The Spa at McLeod Health & Fitness Center offers a convenient second location. The Spa at McLeod is located on the McLeod Concourse between the McLeod Center for Cancer Treatment and Research and the Outpatient Pharmacy. 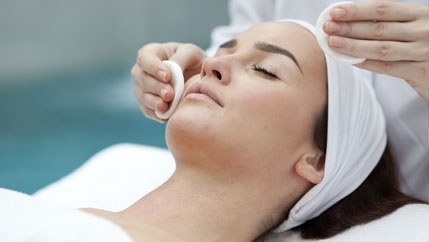 The Spa at McLeod offers shorter treatments for those on the go as well as manicures, pedicures, waxing, facial treatments, microdermabrasion and massages. 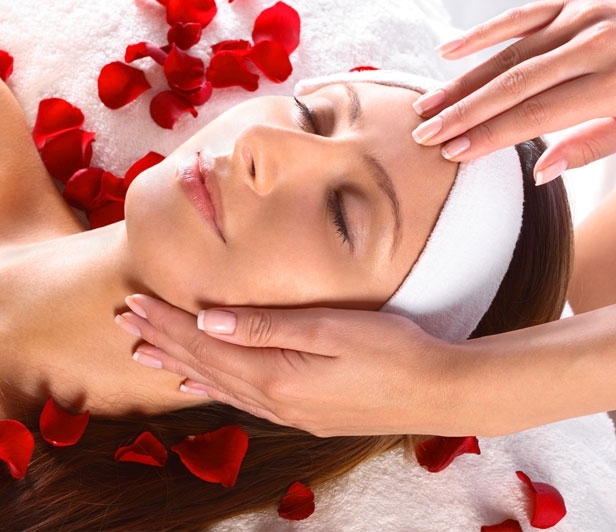 If you are going to be at the hospital waiting for a loved one to receive a procedure or treatment or when you get off work, you can now pamper yourself while waiting. Call: (843) 777-3203 to make an appointment. 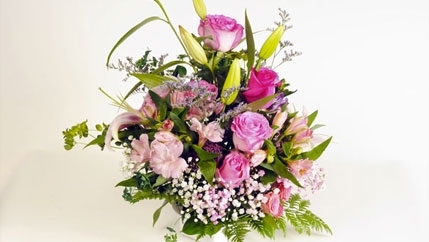 Nothing says, “Get Well Soon” or “Congratulations” like a vibrant bouquet of fresh flowers from the McLeod Florist. McLeod Florist is conveniently located in the Concourse at McLeod Regional Medical Center and has a variety of offerings sure to put a smile on anyone’s face. 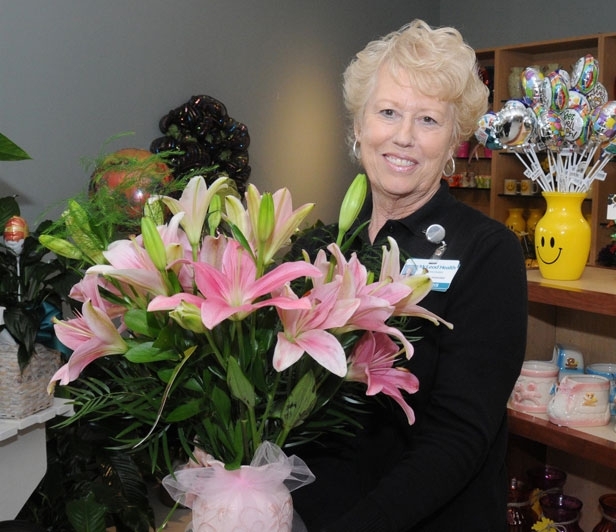 McLeod Regional Medical Center’s very own flower shop offers arrangements for every occasion. Gifts, Balloons, Cards, and Candy Bouquets are also available. Free Delivery to Patient Rooms in the Hospital. 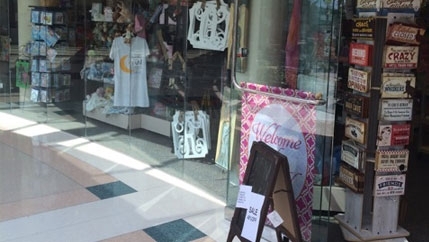 The gift shop offers a wide selection of retail and specialty items, including jewelry, clothing, scarves, home decor, magazines and snacks. There is also a gift shop in the Pavilion that is open 7 days a week. 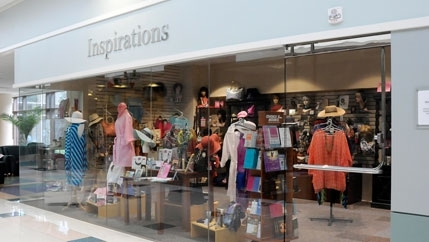 Our Inspirations Gift Shop has been designed with items perfect for cancer patients including wigs, scarves, jewelry and more. 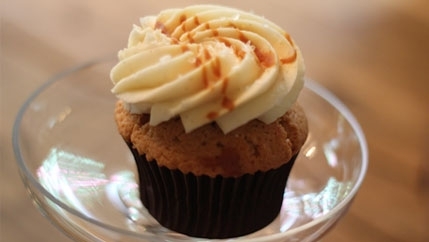 SWEET combines a sophisticated Cafe with a nostalgic-style Bakery. Cupcakes are baked daily, using the finest ingredients from Madagascar bourbon vanilla to Belgium chocolates and European butter. 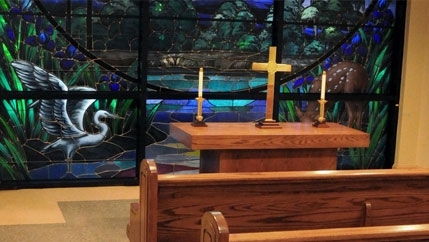 Monday – Friday, 11 a.m. – 7 p.m.
A Chapel open to the public 24 hours a day for quiet time and prayer. For more information on our Pastoral Services, click here. Shared Branching, which allows guest members easy access to their accounts by utilizing our services here at our McLeod branch. 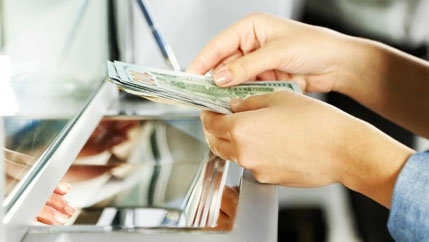 For more information on Health Facilities FCU, visit our website at www.hffcu.com. Thursday, 8:30 a.m. – 5 p.m.
Closed Daily from 1:30 p.m. – 3 p.m.